We survived spring break. It was a nice week spent with the kids. On the first day of spring break, my boys woke up and said that they were bored an hour later. I knew that I would have to get creative this week. Luckily the weather was nice and we spent a lot of time outside. We enjoyed spending time together as a family. It ended on such a beautiful day today on Easter Sunday. I hope you enjoyed spending it with your family as well! 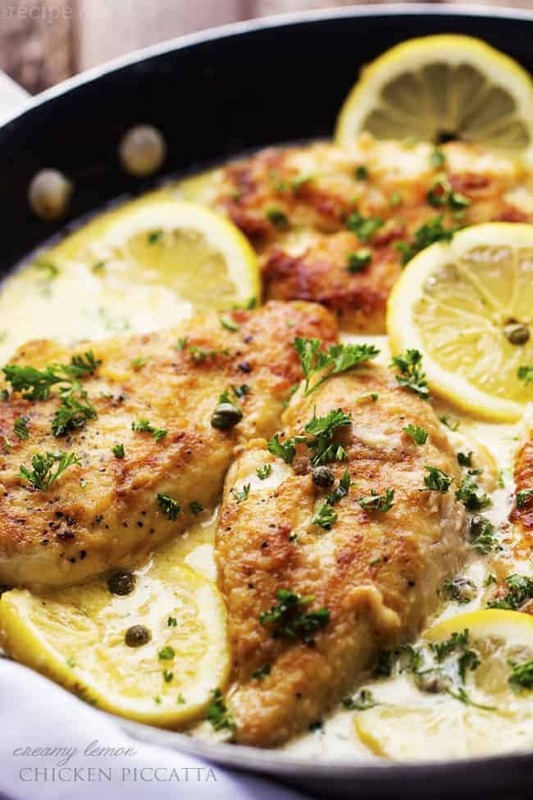 One of our favorite meals of the week was this Creamy Lemon Chicken Piccatta. It was amazing. My favorite part was that it was a one pot meal and ready on the dinner table in 30 minutes! It is just like the classic chicken piccata dish, but with the added lemon tang. It gives it such a fresh and delicious taste to this creamy sauce. The chicken has a delicious breading on the outside and it is perfect served over some pasta. Everyone in my family loved this meal. It had such a delicious flavor and will be one that we make again and again! This dish was absolutely amazing, presentation was as pictured, and easy enough to make on a busy weeknight after swim practice and homework! Definitely going into weekly rotation! I followed recipe but added lemon zest along with juice since I only had 1 lemon on hand. 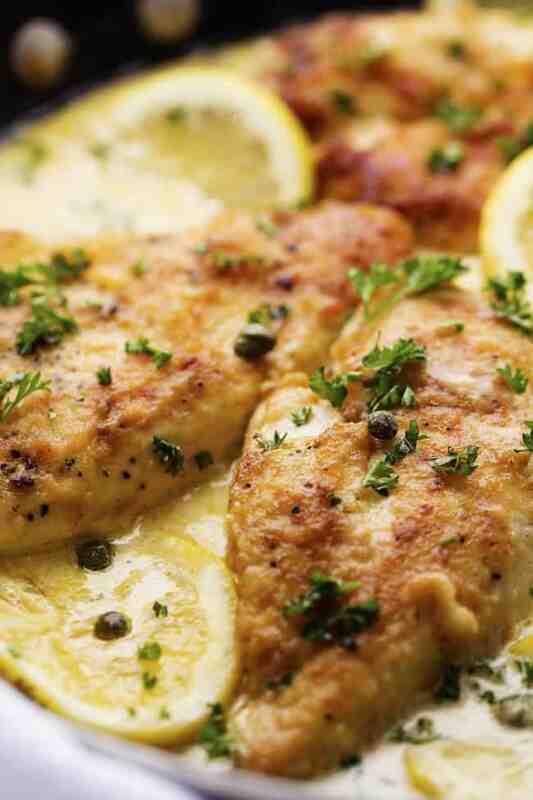 This was the first time I used cream in my Chicken Piccata. When I looked at the recipe I thought, OK that will make the sauce creamier but what about the lemon which will curdle the cream, which it did. I was worried that I had just wasted my time and materials but I continued bring it to a boil and slowly it blended together. the final result was I didn’t see much difference in flavor in using the cream and will not use it again. It was just more calories. I have made this at least a dozen times. It is so awesome! Everyone I have served it to loves it. It even taste good reheated in the microwave. This recipe is the BEST! It has become a regular dish in my home. 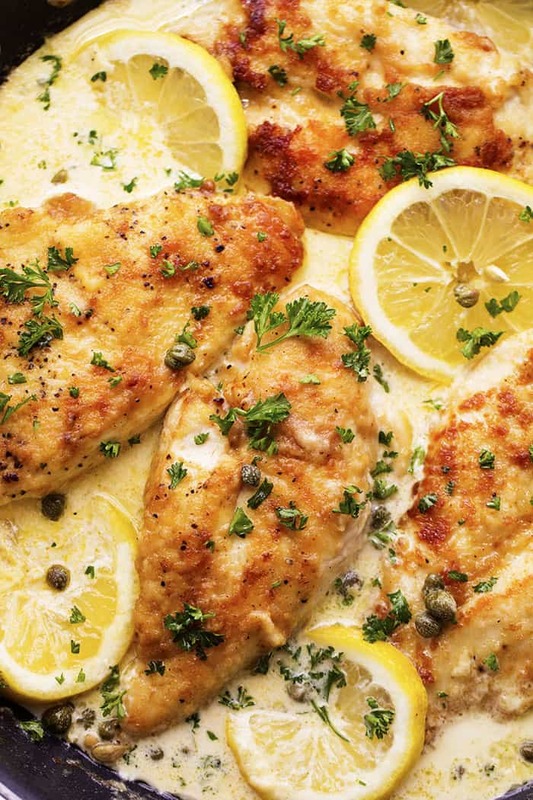 We love the creamy lemony sauce so much. Thanks for a great recipe! So tasty! Love how easy it is. I reduced the amount of broth by 1/4 cup and added dry white wine in it’s place. Also minced a small clove of garlic to add another dimension of flavor. Thanks for sharing this recipe! Would like to try this tonight. Anyone make it with milk or half snd half? Am not a big fan of heavy cream. 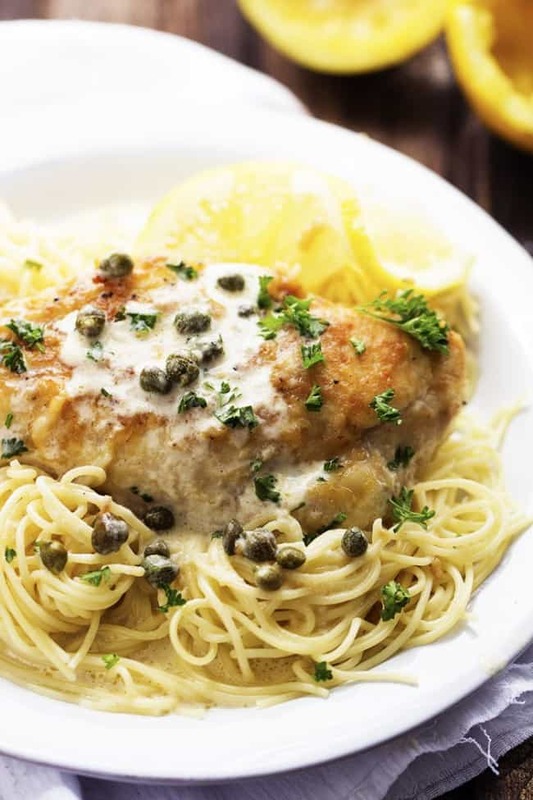 Would like the recipe for chicken piccata to try. I made this tonight, with no changes. My family loves it, big hit and got a big thumbs up. Thankyou for sharing.! !